At Big Apple Foot and Ankle Care, Dr. John Mwando is dedicated to providing excellent podiatric care and surgical services. Our midtown Manhattan practice specializes in cosmetic foot care and reconstructive surgery. Our mission is to provide our patients with outstanding full service foot care in a comfortable and relaxing environment. Dr. Mwando strongly believes in educating his patients as to all possible treatment options. His hospital affiliations include Beth Israel Medical Center, St. Lukes Roosevelt and Fifth Avenue Surgery Center. 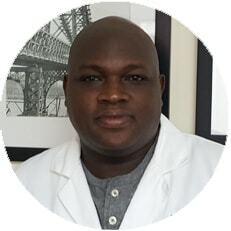 Dr. John Mwando is a foot and ankle surgeon with extensive training in wound care and diabetic limb salvage. Our midtown Manhattan practice specializes in cosmetic foot care and reconstructive surgery. 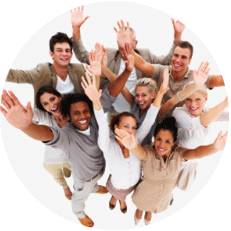 We encourage you to contact us whenever you have an interest in or concern about any of the procedures that we offer. Call our office at (646) 454-8264 to schedule an appointment. Special arrangements can be made for certain procedures & emergency cases. The visit was great, he explained everything that he found and was very nice. Anyone looking for a great foot doctor should look here first cause they will not have to look anywhere else. Dr. Mwando is very knowledgeable and extremely informative. He went in to great detail on the entire process from start to finish. Would definitely recommend others. Dr. Mwando was very kind and informative and made me feel comfortable asking questions. Big Apple Foot and Ankle Care • Dr. John Mwando All Rights Reserved.